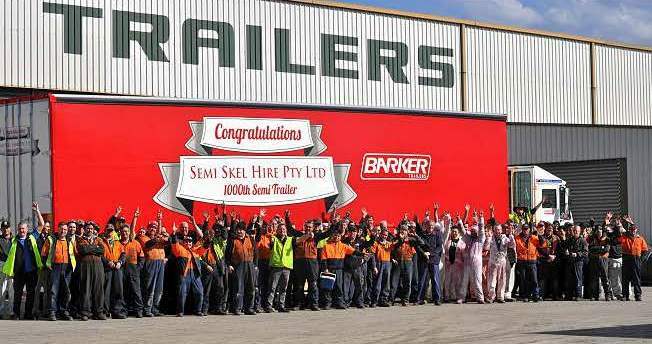 Semi Skel Hire and Barker Trailers came together last week to celebrate the delivery of the 1000th trailer to the Semi Skel Fleet. Semi Skel owner Geoff Kelly spoke passionately about growing his business from trailers to achieving 100 units, to achieving 100 units, then 200, 500 and now 1000. He emphasised the importance of family – not only his own who work alongside him in the Semi Skel business but, also the relationship with Barkers to create an environment where people really care about the customer.